Determining the best way to package products has quite a lot to do with the way in which food is processed. So, natural thought follows that by figuring in packaging costs, challenges, and limitations before choosing a processing method, you won't encounter unexpected variables. 1. The food itself, taking into account pH, moisture content, phase, and heat stability. Phase refers to food state - solid, semi-solid, liquid with particles, or liquid. 2. Agents targeted for elimination, such as microorganism/bacteria, spore, or undesirable enzyme. 4. Expected environment for food storage. 5. The preservation integrity of nutrients, quality, and economic impact. 6. Choosing the best-suited packaging for your product. In this article we will cover thermal and non-thermal methods, covering retort processing, aseptic processing, microwave-assisted thermal sterilisation (MATS), high- and ultra-high-pressure processing (HPP/UHP), and high-intensity light pulse (HILP). Thermal processing works by increasing food temperature to reduce the agents targeted for elimination to a level acceptable for industry safety standards. Generally, in this method of processing, microorganisms or their spores are in the crosshairs, eliminated by blanching, pasteurisation, and/or sterilisation. However, raising the heat of a product can degrade nutrients and overall quality. To combat this, the desired process temperature is reached as quickly as possible and the food cooled to ambient temperature shortly thereafter. Speeding through the process reduces the time spent at a high temperature, better preserving the quality of the product. Blanching: reduction of surface microbial contamination by boiling. Generally used in homes before freezing or canning. Pasteurisation: elimination of vegetative pathogenic bacteria through heat-processing. Use for products with a short shelf life or requiring refrigeration. Sterilisation: reduction of heat-resistant spores to acceptable levels. Use for products with a long shelf life (years) stored without refrigeration. For the most part, thermal processing methods are more cost effective than non-thermal methods, and the food packaging industry is no stranger to thermal processing. According to A. Hersom, Nicholas Appert's commercial bottling plant started it all in 1804, even though the flame steriliser, Steri-flamme, was not introduced until 1960. As the method has been tried and tested, developments and refinements paired with new technology and industry experience make thermal processing a solid choice. In fact, safety and nutrient reduction can be figured out using exact calculations. Retorting processing can be paired with pasteurisation or sterilisation to eliminate undesirable agents. It works with solids, semi-solids, liquids with particles, and liquids. Packaging material must be able to resist temperature fluctuations and mild pressure without comprising the integrity of the seal or interacting with food product. Recommended are metal/plastic cans, glass containers, plastic or metallised pouches, and trays. Contamination is a small risk since the food is packaged before processing. A significant reduction in food nutrients and quality can rule out this method for some food products. Aseptic processing is applicable only to foods that are able to be pumped through heat exchangers. It can be used with pasteurisation or sterilisation. After processing, food is placed in formed, sterilised containers and sealed. The sterilisation and forming of packaging material is done with chemicals and/or light sources before filling. All this is carried out within a sterile environment. Recommended are rectangular cartons for their space-efficiency. These save space for warehouses and shippers as the cartons are formed from rollstock rather than rigid containers (like glass bottles or cans). Packaging occurs after processing in this case, increasing the risk of contamination. Heating and cooling can be done more quickly than retorting, meaning better quality end-products. Microwave-assisted thermal sterilisation (MATS) can be used for solids, semi-solids, particles in liquids, and liquid. Using water to heat the outer packaging and direct exposure to microwaves to heat the internal food, MATS conducts in-container processing of foods. Pairing the two offers the uniformity of water heating and eliminates edge overheating effects of microwave heating. In home microwaves, a frequency of 2450 MHz is used; 915 MHz is used in processing for uniform heating and better penetration. This processing method rapidly heats, cutting down on the time spent at a high temperature. Packaging should be permeable by the 915 MHz frequency. Minimal packaging is best. Recommended are high-barrier plastic pouches, trays and lidding (ex. ethylene vinyl alcohol). Contamination is a small risk since the food is packaged before processing. Overall, this method trumps retorting in end-product quality. It cuts processing times from one-quarter to one-tenth of the time when compared to conventional sterilisation. However, for non-homogenous foods (homogeneous meaning foods that are not separated - smoothies, apple sauce, tomato soup, milk, bread) determining the cold point and thermal process schedule is difficult. Non-thermal methods are relatively new to the food sterilisation scene. The necessity for non-heat-based processing arose when the degradation of nutrient and food qualities by thermal methods could not suit every product. Non-thermal processing deals with microorganisms/bacteria and undesirable enzymes without heat. For ultra-high pressure (UHP) processing, solids without porosity, semi-solids, liquids with particles, and liquids are acceptable. If a food has air pockets or is porous, the pressure will cause the food to shrink after processing. In UHP, foods are packaged before being placed in a high-pressure vessel. The vessel is filled with a fluid (usually water) and pressurized to the process pressure. In practice, the process pressure is usually 200 to 1,000 MPa or MegaPascal equating to 28,993 to 145,023 psi or pounds per square inch. Consider that the deepest point in the ocean is a mere 109 MPa! About five minutes later, the pressure is reduced, and the packaged food is removed. Extremely high pressure inactivates the vegetative cells of microorganisms/bacteria. On the other hand, microbial spores are only inactivated at minimum temperatures of 185°F. So, this non-thermal process does require heating; though compared to the 220°F heating used for thermal processing, the nutrient and quality degradation is minimal. During the five minutes of compression, the temperature increases by 5.4°F for every 100 MPa. The pressurisation rate must, therefore, be carefully monitored. Conversely, during depressurisation, the temperature is reduced by 70°F. These varying and immediate temperature changes are used for a combined heating and UHP method called pressure-assisted thermal sterilisation (PATS). PATS allows for a decreased sterilisation time and cooling time, preserving the nutrient and quality of products. 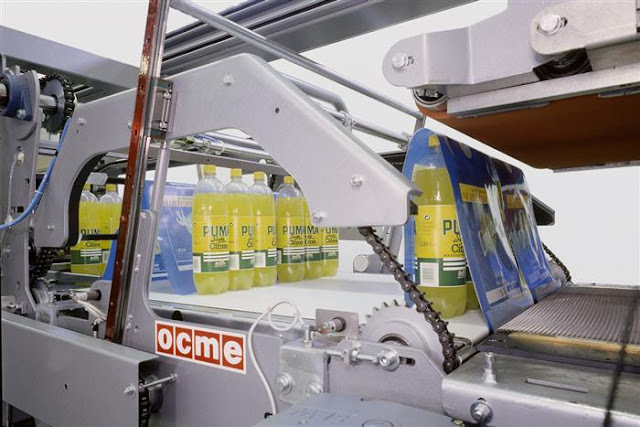 Choosing processing dependent on pressure means that packaging should be flexible in design. High-moisture foods compress by 10-12% under pressure, and hard packaging (metal cans, glass bottles) are not conducive to shrinkage. Recommended are plastic pouches or bottles - anything that can flex up to 15% on any surface. Do be aware that UHP can damage some flexible packaging or increase permeability; foil laminations or metallised polyester (PET) film are not ideal. Typically, food is packaged before treatment, lessening contamination risk. UHP does not reduce all undesirable enzymes in products. The process can increase enzyme activity which are harmful to the quality and shelf-life UHP-treated of foods. Additionally, the cost for UHP is higher due to expensive equipment and treatment by batch. Muscle proteins do not do well when sterilized by UHP, toughening and changing colour after treatment. The latest in non-thermal technology, high-intensity light pulse (HILP) carries out microbial inactivation on surfaces of foods and packaging materials. Using intense, short pulses of light, both vegetative cells and spores are eliminated. A 200 to 1,100nm or nanometer white light with a high intensity and an ultraviolet (UV) component of 200 to 280nm are combined. Pulsing rather than continuous lighting omits heating of product. As this method only applies to the surface of products, it is not a viable option for enzyme inactivation in foods, though it does work for clear liquids. Packaging should be transparent to UV light to allow the light to penetrate and treat interior food. HILP is more effective at sterilising package surfaces than chemicals (hydrogen peroxide or peracetic acid) which can leave behind chemical residue. Certain foods benefit from UV treatment; grapes, for example, have increased resveratrol after treatment. Treated products with uneven surfaces fall victim to shadowing, a broken treatment not applied to all surfaces. The effect of UV lighting on nutrients has not been studied as of yet.